The LCD-X has to be my favorite headphone in the Audeze line-up. The lower frequencies are just so scrumptious that it makes all other high-end brands seem boringly conservative. But the new Fostex TH909 produces a colorful profile with some oomf in the lows and highs. Which headphone suits your ears and preferred genres? Let’s find out in this Audeze LCD-X vs Fostex TH909 Review. The LCD series looks and sounds amazing. But the weight, man. Lightweights will need a chiropractor. Trust me, it’s worth it. The TH909 is lighter in comparison and a less cumbersome fit because it’s a little looser around the ears. You’ve got the LCD-X’s planar magnetic technology versus the TH909’s good ol’ fashioned Tesla 50mm dynamic drivers. Fostex based the TH909 on their popular closed back model, the TH900mk2. However, besides the drivers, both headphones offer similar specs. Neither headphones require much power, with the LCD-X at 20 Ohms and the TH909 at 25 Ohms. They are close in terms of frequency range as well. The TH909 offers a slightly wider range of 10 – 50,000 Hz versus the LCD-X’s 5 – 45,00 Hz. The LCD-X has a dual mini 4-pin mini XLR cable, while the TH909 uses a 2-pin connection. The cable on the TH909 seems a little more durable. It’s covered with flexible material and the connection areas are well insulated. The TH909 also offers the more solid yoke and headband, and I felt like I had to treat the Audeze more gingerly. Overall Impressions: The LCD-X’s luxurious lows vs the TH909’s sparkling highs. The lows are much fatter on the LCD-X than on the TH909. The TH909 offers the same amount of punch, if not more, but it’s not as rich or diffused. In short, it’s a cleaner feel. Which is better for pop? That’s a personal preference. If you like a tight sound, then the TH909 is for you. But if you like more meat on your bone, then go for the LCD-X. In terms of rock, I preferred the thicker, buttery low end of the LCD-X. Both headphones display a present midrange. But the TH909 puts a slight emphasis on the upper mid range, while the LCD-X focuses more on the lower mids. As a result, the LCD-X produces a darker, more full-bodied sound, which works great for big rock choruses. However, if you like a more dynamic feel, with vocals sitting further forward, then the TH909 is for you. Both headphones display a similar amount of transparency and detail, but the LCD-X handles notes with a softer hand, while the TH909 has an edgier feel, giving one the impression of greater accuracy. The highs sit a little more forward on the TH909. In general the TH909 is the more skilled headphone in this frequency range. The TH909 conveyed super airy vocals, which I missed on the LCD-X. The TH909’s brighter feel also lends itself well to pop music, making percussion sound extremely crispy. So, if you’re a Michael Jackson fan, for example, the TH909 might do more justice to his songs. But again, in terms of detail, they are equally talented. Both headphones offer a truly multidimensional feel. But the TH909 displays a more spacious soundstage, giving live recordings, especially, a very natural feel. This is a tough choice because both headphones have such great personalities. But if you prefer a cohesive, full-bodied sound, go with the LCD-X. If, on the other hand, you like something a little more vibrant or dynamic, the TH909 is for you. 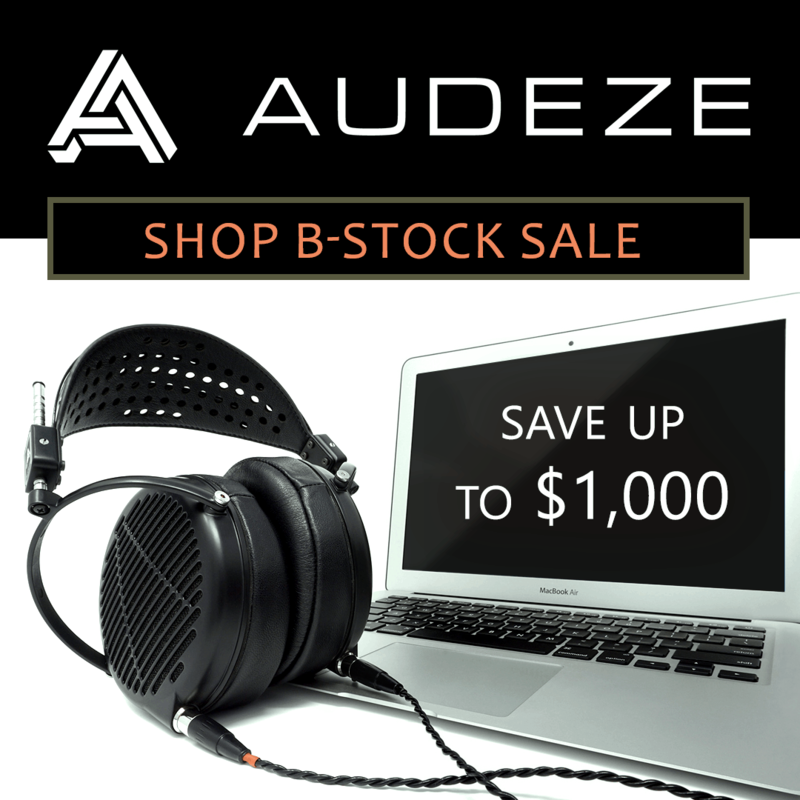 By the way, if you’re willing to forgo Audeze’s famous travel briefcase that goes along with its LCD series headphones, then you can get the LCD-X for a for $1199, (The Creator Package) Compare that to the $1799 tag on the TH909, and you might have your answer.